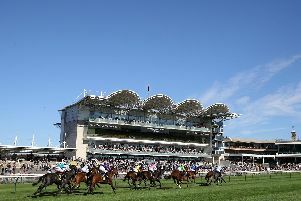 Maksab narrowly failed to hit the target on his return last month, but he can make swift amends in the Racing UK Profits Returned To Racing Handicap at Redcar. Mick Channon’s charge was beaten a length and three-quarters on his seasonal bow at Newmarket last month, making the early running from his low draw. Diplomacy can hit the ground running for David O’Meara in the Subscribe To Racing UK On Youtube Novice Median Auction Stakes. He was limited to just one start as a juvenile last term, finishing a fair fourth over the same seven furlongs he faces again here. Chiefofchiefs is the choice in the totetrifecta Pick The 1,2,3 Handicap at Chelmsford after a pleasing return last month. Having his first start after a winter break and a gelding operation, Chiefofchiefs stayed on from off the pace to be beaten just over four lengths in fifth when tackling a better event than this at Newmarket. Victory Wave will be a popular choice in the Compare Bookies At freebetting.co.uk Novice Stakes at Southwell after hacking up by six lengths at the track last month. Mercury Rising disappointed on his only two-year-old outing but can compensate his followers in the Download The App At 188Bet Median Auction Maiden Stakes at Lingfield. Clonmel: 5.30 Nabeel, 6.00 Dramatise, 6.30 Six Silver Lane, 7.00 Excelli, 7.30 Hareth, 8.00 Aa Bee See, 8.30 Days Without End. Lingfield: 2.00 Attain, 2.30 Mercury Rising, 3.00 What A Party, 3.30 Mishaal, 4.00 Central City, 4.30 Belated Breath, 5.00 Mac O’Polo. Musselburgh: 5.40 Dawoodi, 6.10 Amadeus, 6.40 Soldier’s Minute, 7.10 Clemento, 7.40 Super Florence, 8.10 Lotara, 8.40 Elite Icon. Southwell: 2.20 Go On Gal, 2.50 Bertie Moon, 3.20 Victory Wave, 3.50 Monks Stand, 4.20 Cryptonite, 4.50 Indian Tinker, 5.20 Scrafton. Chelmsford: 5.50 Shellbrook, 6.20 Poetic Affair, 6.50 Main Street, 7.20 Chiefofchiefs, 7.50 Gold Filigree, 8.20 Two Seas, 8.50 Jeremiah. Redcar: 2.10 Willow Brook, 2.40 Left Alone, 3.10 Diplomacy, 3.40 MAKSAB (NAP), 4.10 Al Khan, 4.40 Moltoir, 5.10 Plansina.